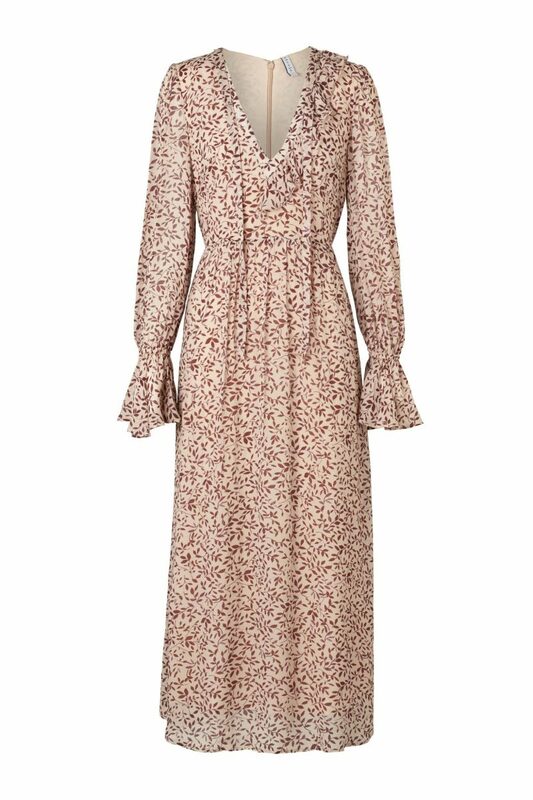 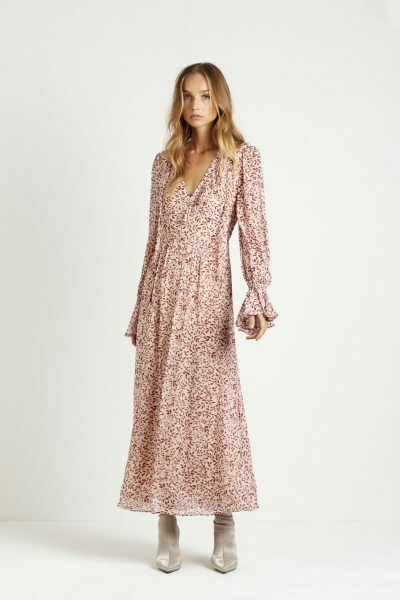 The Dasha Midi Dress in Rose Willow by Steele is a loose v-neck dress, with a single frill detail lining the neckline and feature tie detail. 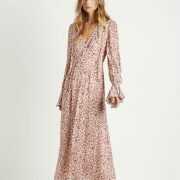 A gorgeous midi dress featuring a gathered waistline and long sleeves that finish with an elastic casing and flounce cuff. 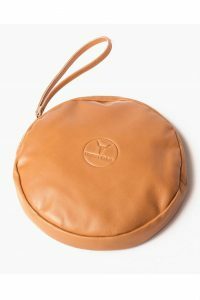 Centre back invisible zip closure. 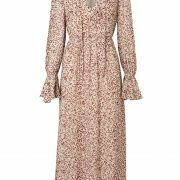 Fabric: Sheer Viscose | Sizing Note: Runs true to relaxed fit sizing.